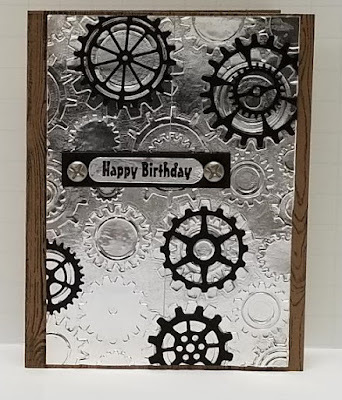 This card was made as a Design Team card for Try Stampin' on Tuesday Challenge #392, whose optional theme is "Metallic Madness". Since metallic cardstock is often hard to get things to adhere to it, I used double-sided Scor Tape to attach the wooden pattern paper to it. 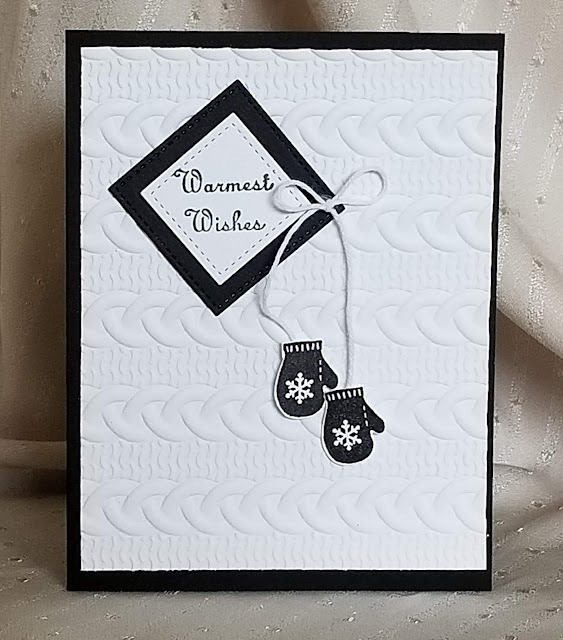 The smaller silver mat behind the sentiment layer was die cut using SU "Stitched Shapes" dies. The sentiment is from the 1992 SU stamp set called "More Great Greetings". 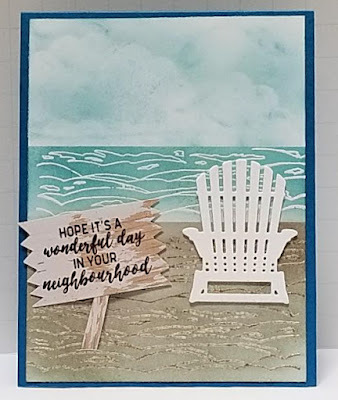 It is stamped using SU Early Espresso ink onto SU Crumb Cake cardstock. before I glued it to the silver die cut mat, I adhered s square of chipboard to the back so the panel would sit slightly higher. Using chipboard instead of foam strips helps keep the small panel from being crushed or wrinkled during mailing. 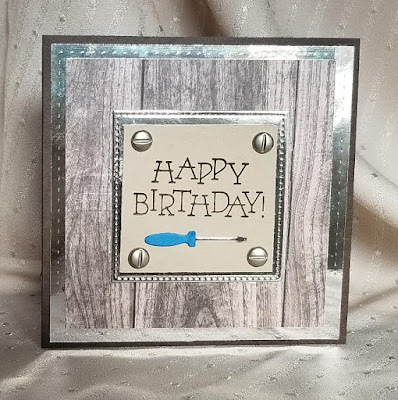 The sentiment panel was decorated with screw brads that I cut the 'tails" of, then glued to the panel with Mini Glue Dots. 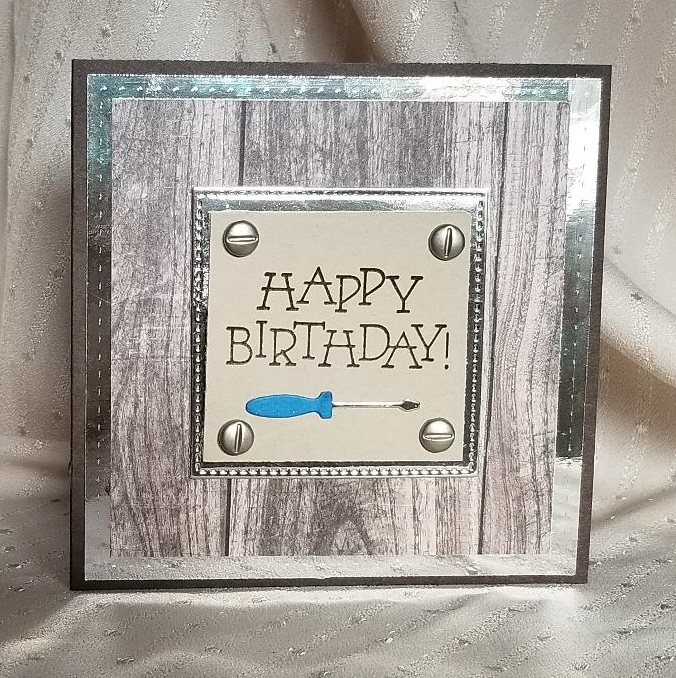 The panel was also embellished with a tiny screwdriver that was die cut from silver and SU Island Indigo cardstock. It was glued on with Tombow. I think this will make a good masculine birthday card for one of my brothers. I am rating the difficulty level as a "2" out of a possible "5". 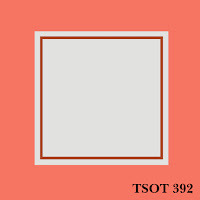 Paper Size: 4 3/4"x 4 3/4"